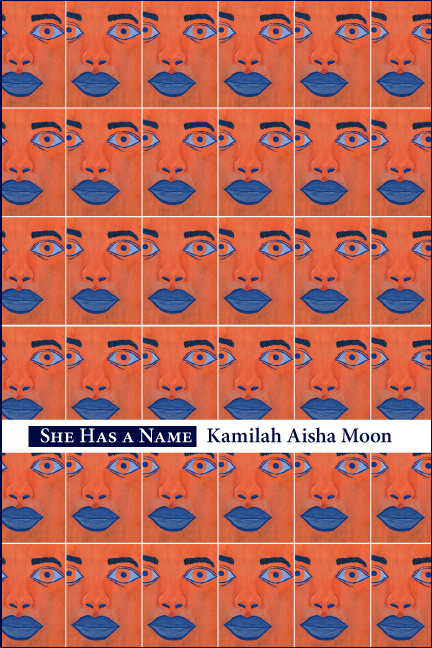 She Has a Name by Kamilah Aisha Moon was a finalist for both the 26th Annual Lambda Literary Award for Lesbian Poetry and the Audre Lorde Award for Lesbian Poetry from the Publishing Triangle in 2014. The opening pages of She Has a Name identify the collection as a “biomythography,” a term created by Audre Lorde to describe a narrative based on myth and history, fact and fiction. Kamilah Aisha Moon’s biomythography tells the story of a young woman with autism from multiple points of view. The speakers in these poems—sisters, mother, father, teacher—pursue answers to questions science can’t yet answer: “Autism, the one-drop rule for minds / we strain to understand, the catch-all…” While seeking to understand, the speakers yearn to protect the young woman—“The last thing / I ever wanted was to let her / down,” says the Father. Whether protector or questioner, each voice strives to understand what autism means to his or her own life. in the same epic song. 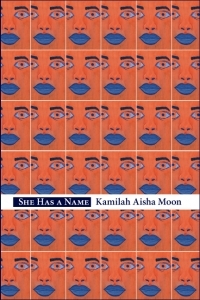 "With her own name a poem, Kamilah Aisha Moon enters the published world with a stunning first book, a collection of poems so wrought, honest, and compassionate that I will return to them, learn from them, and surely continue to be moved by this poet’s essential voice.” Read the full review. "Kamilah Aisha Moon has written one of the most moving poetry books I’ve encountered in a while. At the center of She Has A Name is a young woman with autism who, despite her high-functioning capabilities, is still subjected to the sometimes stifling overprotective behavior of her family..." Read the full review. "Self-styled in its epigraph as 'biomythography' in the tradition of Audre Lorde’s Zami, the collection is strongest in its gestures towards universality through the examination of the particular. Via a steady injection of iconography among the details of family life, Kamilah Aisha Moon’s debut weaves a kaleidoscopic set of poems with intimate insight and textural multiplicity." Read the full review. "These are the simple words of a conversation between relatives, but by stripping away the excess and letting love and duty hold their own, Moon transforms everyday phrases into timeless myths." Read the full review.